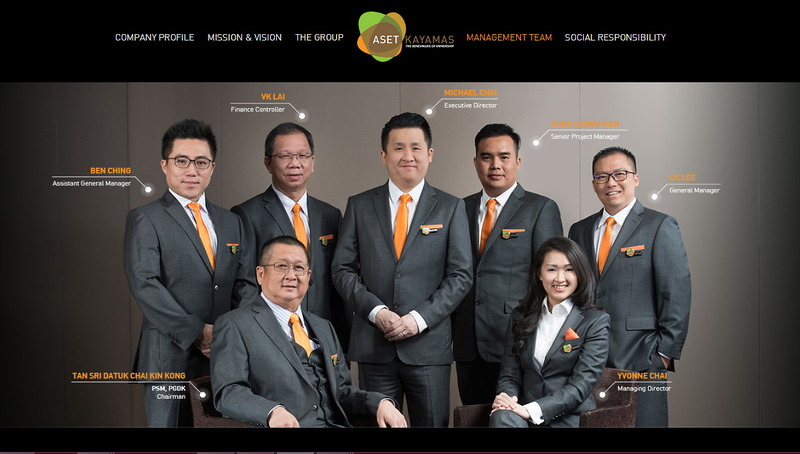 Aset Kayamas Group founded in 2011 by Tan Sri Chai Kin Kong are property developer that focus on comfortable homes that are of high quality and affordable. The groups expanding portfolio includes various luxury residential development projects such as ParkHill in Bukit Jalil, The Henge in Kepong and The Holmes in Bandar Tun Razak. We are honored to be commissioned for the senior management Aset Kayamas Group. Promotion period :1st July – 31st July 2015 .Call 03 7956 0339 to book your session now! Limited to first 5 families only between 18.07 -22.07. CALL 03 7956 0339 or email info@kidchan.com to book Now! Special KIDCHANBcard Launching Package at RM99 only for 2 Family Portrait Sessions Worth RM1,300! KIDCHANSTUDIO Top 10 Moments of 2014! Team KIDCHAN achieved great milestones in 2014 and we look forward to an even more exciting year ahead! As we move on with the new though, don’t forget to safeguard past memories. Ensure that your photos and videos are kept safely by backing them up (having at least two or more copies, and not simply a download). Below are our Top 10 moments of 2014 & more…..
What a gorgeous couple! One of KID’s personal favourite weddings in 2014. Their love story remind us all that God has a plan and good things come to those who wait! We are so honoured to be the official wedding photographer to two of the artiste that have great significance in two periods of KID’s life, the first ever Malaysian Idol, the Amazing Jaclyn Victor & and the ultra talented Grammy-nominated Shawn Rivera of Az Yet fame. TEAM KIDCHAN is honoured to be invited as event photographer for The Laureus World Sports Awards.The Laureus World Sports Awards is widely considered as the “Oscars” of sports. Among the sporting Legends and Heroes in attendance are Cantona,Lewis Hamilton, Tony Hawk, Edwin Moses and our very own Squash Champion Dato’ Nicol David. We are suckers for CELEBRATIONS. Whatever the occasion, we are IN for some champagne-popping! Life, itself is worth celebrating. Everyday is a gift. We should celebrate everyday. And especially when a dear customer/friend turns 70….we hail with praises & applause! This is a very special event for us, as a team, a reminder to us, that every small details of life can teach us important lessons in life. Live your life to the fullest (in experience & in no. of years) ! Not only is this a highly anticipated event of the year for the socialites, local and abroad, the proceed from this charitable do is much needed for the worldwide drive of saving the wild tigers. TEAMKIDCHAN is grateful for being entrusted to document such meaningful moments. For me personally, this is an exclusive occasion to witness 50,000 Swarovski crystals snow-balled into a sculpture of a tiger-head, namely the Crystal Tigress. The twinkling sparkles even shine through the photographs, I can’t imagine seeing it in person. Don’t believe me? Check Out the Majestic Tiger Ball 2014. Mothers are indeed a special species. They need to be able to expand elastically during a long-winded 9 months, carry two heartbeats at the same time without exploding, exude all their energy to force a screaming-being out of them, shrink back to fit into pre-expansion days clothing, juggle between pain-in-the-neck bosses [not always :)] , demanding spouse , and clueless offsprings AND command a cool and posh look at all times! Nothing less than a super-woman. Have you ever run out of storage space in your PC / Mac? Or you want to find / print a special moment which you’ve snapped some months ago but can’t seem to remember where you’ve stored it? If you’re like me, you’d probably be quite frustrated. We deal with large data (pictures & video) on a daily basis. With the massive data storage capacity provided & supported by WD, backing-up your precious memories is as easy as ABC. Really! In October 2014, KIDCHAN & WD collaboration on data storage is made official. Kid was also being invited to launch the WD My Passport Wireless, another impressive add-on to data storage. WD, where backing-up is made easy! 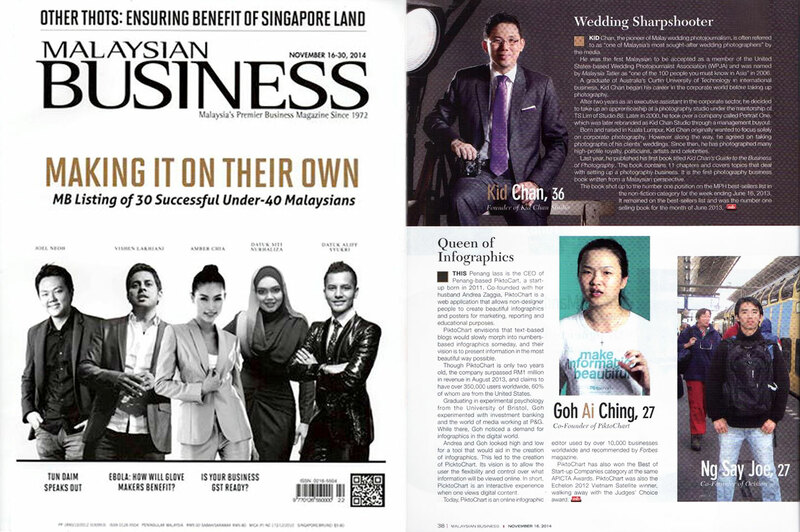 KIDCHAN, our founder is the COVER BOY for Life & Times, New Straits Times….Again! Seriously, we don’t like people blowing their own horns. But when our principal, the founder, the face of KIDCHANSTUDIO is featured by a mainstream national newspaper on the cover for the Third time, we got to take some due time to BLOW lah 😀 ehem..excuse me. Want to know what New Straits Times find so fascinating about KIDCHAN that they have to come back for more? Click here to find out. Have you heard of the saying “If you serve enough people, you will get what you want, ie be successful”? If there is one secret of success that we can draw out of our founder, KIDCHAN, is his selfless persistence in serving others. No wonder he is enlisted in the “MB Listing of 30 Successful Under-40 Malaysians (who made it on their own)”. PAM (Persatuan Arkitek Malaysia), REHDA Wilayah Persekutuan (KL) & Malaysian Institute of Planners jointly organize the prestigious WCSC (World Class Sustainable Cities) Photography Competition. KIDCHAN was appointed to be the photography judge, for the second year in a row. How privileged are we to be blessed with healthy parents, cute-chubby children and supportive siblings!? When was the last time we take some time to enjoy each others’ company, without interruption from all the modern-intrusive high-tech gadgets? We help these families to preserve their unique family-time. A family portrait is not just a portrait. It’s a priceless heirloom. It tells your family history. We are truly grateful and humbled to have the opportunity to create and preserve no less than a thousand Happy Families’ moments at KIDCHANSTUDIO in 2014! HTC & KIDCHAN partnered to conduct a Smartphone Photography Workshop to share with participants on how to take better photos with a smartphone & how to get the most out of the camera from a smartphone by touching on various aspects such as composition and lighting. 11. Say Goodbye to boring-mundane-straight-jacket-looking corporate portraits! View some of our most Memorable moments of crafting these Corporate Portraits & Headshots – Ning Baizura, Jaclyn Victor and Mr. Andre J. Contreau, President of Le Cordon Bleu etc. Having captured so many beautiful and timeless moments, we sure are glad to have the support of Western Digital for data storage. Once again, TEAMKIDCHAN is so grateful for your support all these years and especially in making 2014 so memorable for us. If you have enjoyed recounting these special moments, dont forget to share it with your friends and love ones. Sharing is caring and thank you in advance! Here’s to creating even more memories together in 2015! P.s: Check out our Collection of 2014! Happy Family Photo Moments 2104 at KIDCHANSTUDIO ! Do you want to Enhance your Image, Stand Out from the Crowd & Increase your chance of Success? This is a good opportunity to get your professional headshot by Asia’s premier photography team who have worked with Tan Sri Dr Zeti Akhtar Aziz, governor of Bank Negara Malaysia; Cherie Blair, wife of former British Prime Minister Tony Blair; actor Jackie Chan; business tycoon Tan Sri Dr. Francis Yeoh; Tan Sri Jeffrey Cheah , supermodel Elle Macpherson and many more. We have also served corporate companies such as Pfizer, Mandarin Oriental Hotel Group, PricewaterhouseCoopers, Citibank and many more. LIMITED TO FIRST 35 27 PAX ONLY! For booking, mail Shannon or Call 012-622 1030 Now! TEAM KIDCHAN was recently commissioned to create Corporate portrait for Proton Chaiman & BAM President Datuk Sri Mohd Nadzmi Mohd Salleh. So we quickly google some recent images of this distinguished and friendly gentleman. And the following were some created by TEAM KIDCHAN at Datuk Seri’s residence in Shah Alam. What do you think of the pictures? The TEAM has great fun photographing the very learned and personable corporate giant. Datuk seri actually have his chef prepare a beautiful kelantanese malay lunch for us and ate with us. We are so humbled. A picture with Datuk Seri Nadzmi Salleh. Datuk Seri Jean Todt & Datuk Michelle Yeoh Wedding in 3 Countries! Girls, It’s Datuk Jimmy Choo! We were honored to be commission to shoot the board of Directors Photography for Golden Palm Growers Berhad recently. Below are how some of the images were use in the companies marketing/publicity materials. About Golden Palm Groweres’ : The company have recently launched and unique opportunity to invest in the palm oil plantation. The Scheme Guaranteed 6% return p.a. during 1st 6 development years. Children Lifestyle Photography of Mikael & Noah’s & playtime! Art of Celebration with Kid Chan & friends High Tea!